I recently took notice of the obsession with lion head necklaces and jewelry. This trend is reminiscent of the Anne Klein and Versace eras. I purchased one myself this past weekend and coincidentally just last night saw Khloe Kardashian wearing hers on “Keeping Up With the Kardashians”. Other celebs such as Rihanna, Estelle and rapper Rasheeda have been rocking this look as well. 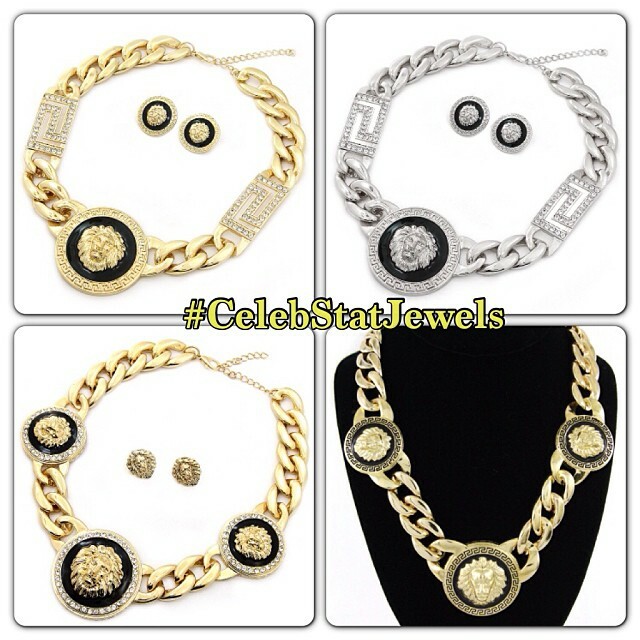 If you’re looking for a similar style then look no further than Richmond’s own Celebrity Status Jewels. They have a lion head necklace set for only $35. Not only can you purchase in-store but also online. Plus, check out a wide range of other celeb inspired jewelry, thus making the name of the store befitting.